Since 1997, we've been recognized as the industry leader specializing in a total hands-on window tint training school teaching the art of how to install window tinting on automotive, residential, and commercial windows along with now offering a Paint Protection Film (PPF) course! 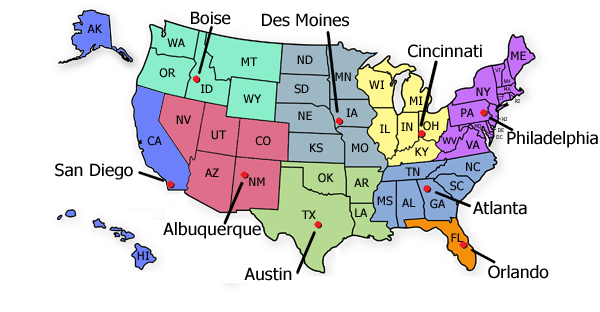 Our 9 tinting training school locations are located across the entire United States; so please click HERE to request registration updates in your area! First, please start with the "Introduction..." or "Training Course(s)" link buttons above, or “text” links at the bottom of this page and go directly to the training school courses of your choice for all the information you need; such as tuition fees, start dates, class size, hours and more...found mostly within the first paragraph! Please review the pages completely as we are confident they will answer all of your window tinting training questions. Then, register on-line by clicking HERE, or call, or email us...TODAY!!! So, If you're are interested in learning how to tint windows and earning up to $80 an hour or more as an Automotive Window Tinter and/or learning how to tint windows to earn up to $100 an hour or more being a Flat Glass Window Tinter and/or learning how to earn up to $150 an hour or more as a Paint Protection Film (PPF) installer...then give us up to 8 short days and we can make it happen for you! Need financing information? CLICK HERE for all the details...this may cover all of your tuition AND traveling expenses! How much can a Window Tinting Company make? See the W.F.M. Top Ten List CLICK HERE. See the Best in Travel guide Top Ten List with the #1 rated US location! CLICK HERE. See graduate pictures & reviews: CLICK HERE. See the Complete Certificate: CLICK HERE. See our article in Restyling Magazine: CLICK HERE. 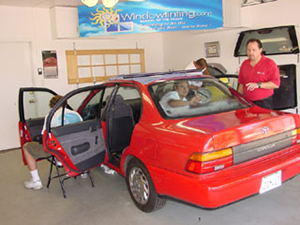 Auto window tinting state rules & laws: CLICK HERE. Secret Tips for the Pro's: CLICK HERE. Res. / Comm. tinting manual: CLICK HERE. Auto and Flat Glass tinting tool kits: CLICK HERE. "My company made over $100,000 in just the first year after I graduated Windowtinting.com!" "Even though I had other school options that were closer to me, I didn't want to settle for second best or an inexperience training school...feels good to be right." "I bought the videos, watched YouTube, tried the on-line thing and other tinters...all worthless. Nothing beats the Hands-on experience I got at Windowtinting.com! Learning from a real qualified instructor that owned multiple tint shops in 3 different states, gave me the confidence I was trained by the BEST!"